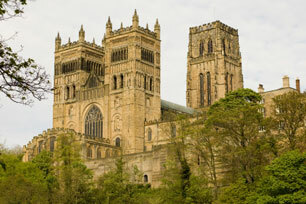 Durham Cathedral is a masterpiece of Norman architecture. One of the great architectural experiences of Europe is is the only cathedral in England to retain almost all of its Norman craftsmanship, and one of the few to preserve the unity and integrity of its original design. Isokon is not an insignificant unit within a larger company involved in a variety of other activities. We specialise in, and are good at what we do. Our support has been consistently rated by our customers as better than 90%. We see ourselves more as a business partner than just another software supplier. Most members of our support team are former practitioners. We therefore understand the business of our customers at the most fundamental level. We even have a tax specialist as a member of our support team, who can answer almost any question about taxation with regard to trusts and probate. Software updates are supplied online, but where a customer needs more direct assistance, we can provide an instant fix (subject of course to your firm's security regime) or even provide a brief tutorial online.